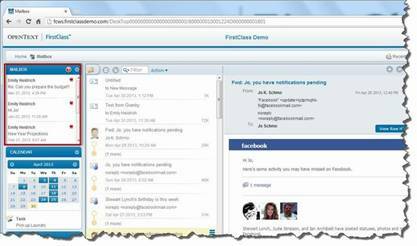 This is an announcement of the general availability (GA) of FirstClass 12 for Windows, Mac OS X, and Linux platforms. FirstClass 12 component upgrade installers are available now to existing customers who have a valid maintenance and support contract. FirstClass Update Services will automatically download these to your server. If your server’s Update Services schedule is turned off, you may manually initiate an Update Services request to receive the update. Powerful, secure and highly scalable collaboration platform that bridges the chasm between in-person and digital communication through rich, online communities. FirstClass Connect, FirstClass Collaborate and FirstClass Communicate deliver the tools organizations need to achieve true, effective collaboration. With FirstClass, knowledge flows together naturally, circulates readily and is easily accessible across the organization, across geographies and amongst organizations. FirstClass empowers individuals and teams to work together towards a common goal, with a shared sense of purpose, driven by new ways to participate. 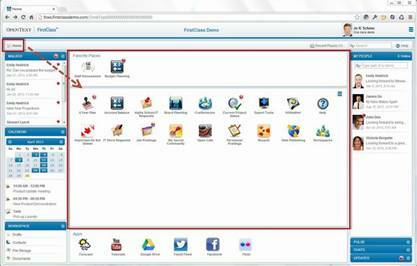 With its powerful and intuitive Web 2.0 interface FirstClass 12 provides a rich, social collaborative experience providing a platform to support your organizational initiatives such as culture and team building, on-boarding and training and internal -external support, all within a secure online environment. 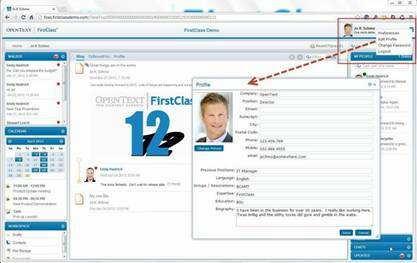 FirstClass 12 offers fully functional email, voicemail and calendaring capabilities that enable users to securely communicate within the organization’s online community or to external internet destinations. A user-defined dashboard allows the individual to decide what is presented to them allowing the most productive and relevant experience for the user’s individual role. The FirstClass open API allows integration with HTML 5 based applications providing one, central point for collaboration around an organization’s valuable content. FirstClass is easily accessible from any internet-enabled computer or via our FirstClass Mobile applications that are available for the iPhone®, iPad®, BlackBerry® and Android®. Users can take FirstClass with them wherever they go and have all of the power of FirstClass in the palm of their hands - delivering a true “anytime, anywhere” mobile collaboration experience. FirstClass, OpenText and the associated logos used herein are trademarks of Open Text Corporation and/or its subsidiary used under license. All other trademarks are the property of their respective owners.